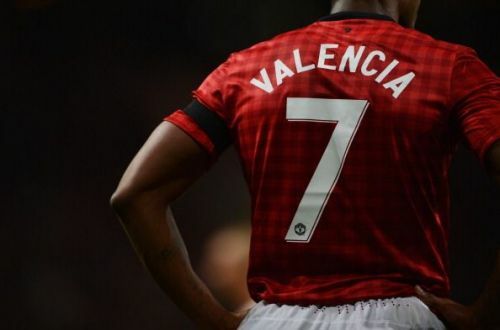 After Owen's departure, the number 7 jersey was handed to Antonio Valencia. The right winger was given that jersey on the back of a brilliant previous year where he was awarded the Sir Matt Busby's player of the year award. He scored 4 goals and assisted 14 and on the back of that brilliant season, Valencia was awarded the number 7 jersey in Sir Alex Ferguson's last season in charge of United. Valencia only scored one goal in that title-winning season and requested his old number 25 jersey, after only one season of wearing the number 7. Di Maria joined Manchester United in the 2014/15 season from Real Madrid on the back of a match-winning performance for Los Blancos in the Champions League. Honestly, everyone at Manchester United thought this guy would do justice to the number 7 shirt, but it didn't really work out that way. 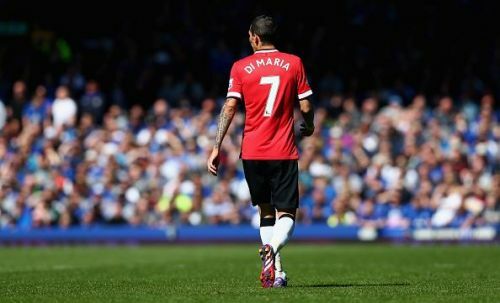 His first season donning the number 7 was an average one. He scored 3 goals and gave 10 assists in 27 games. But what hit United was the way the Argentine engineered his move out of Old Trafford the following season. He didn't turn up for preseason and got himself transferred to Paris Saint-Germain.